Location Raven Scar, Walden Moor. 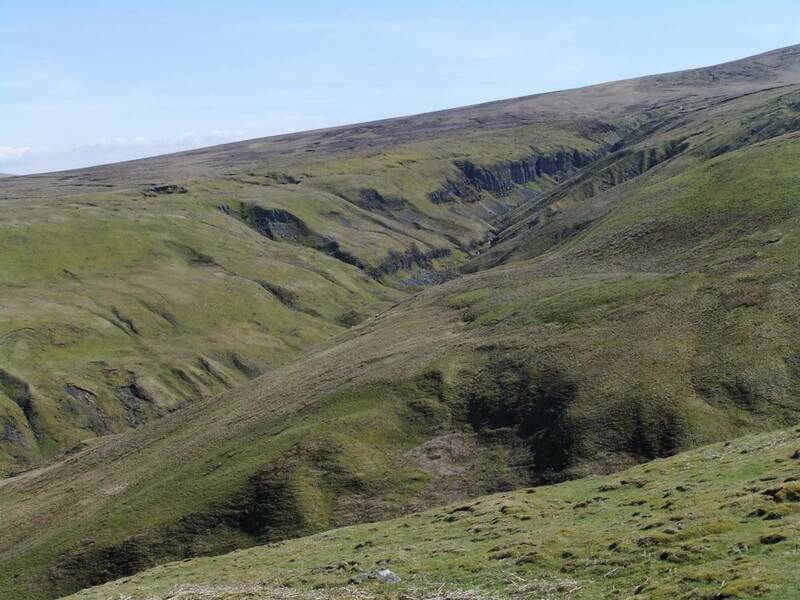 Geology Deep and narrow stream cut gorge and glacially enlarged ravine estimated to be 60m-70m deep with exposed Richmond Chert and Main and Underset Limestone strata. 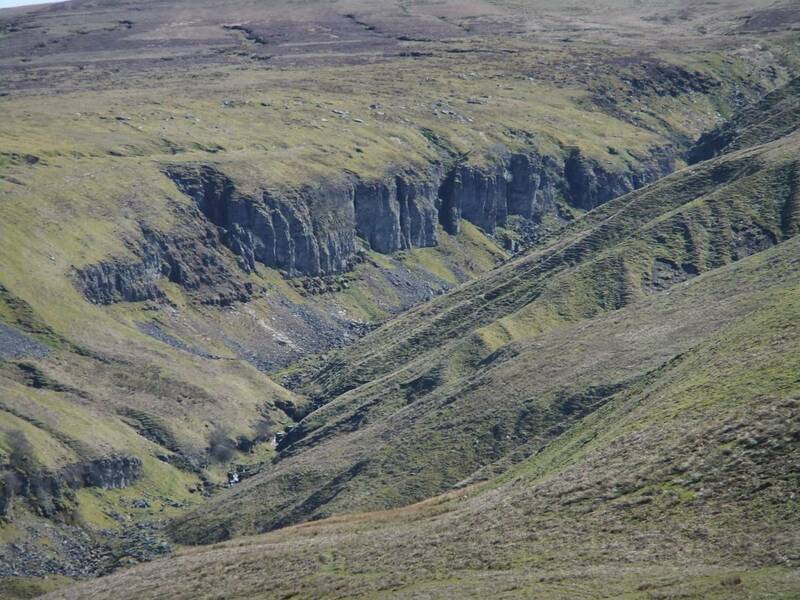 The Main Limestone forms a sheer cliff with only slightly less vertical chert strata over anda very steep scree talus slope below. 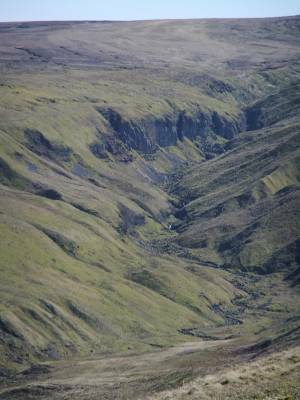 The lower and less prominent but tree lined cliff just above the stream is formed by the Underset Limestone. Record Name Raven Scar, Walden Moor. 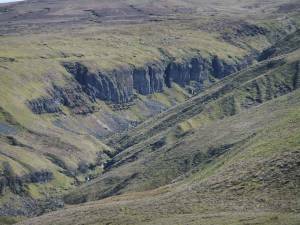 The highest vertical limestone Scar in the NE Pennine Dales. Record Description First seen in the far distance and photographed through *10 lens from Deepdale Head, the fine limestone cliff within the deep ravine at Raven Scar is not well known and deserves to be recognised as a rival to High Cup Nick as one of the marvels of the Pennines. Additional Notes Watch this space for further botanical and tree records following a close acquaintance with this fine limestone gorge and cliff. Image 1 Description Raven Scar photographed through *10 lens from Deepdale Head, Walden Moor.